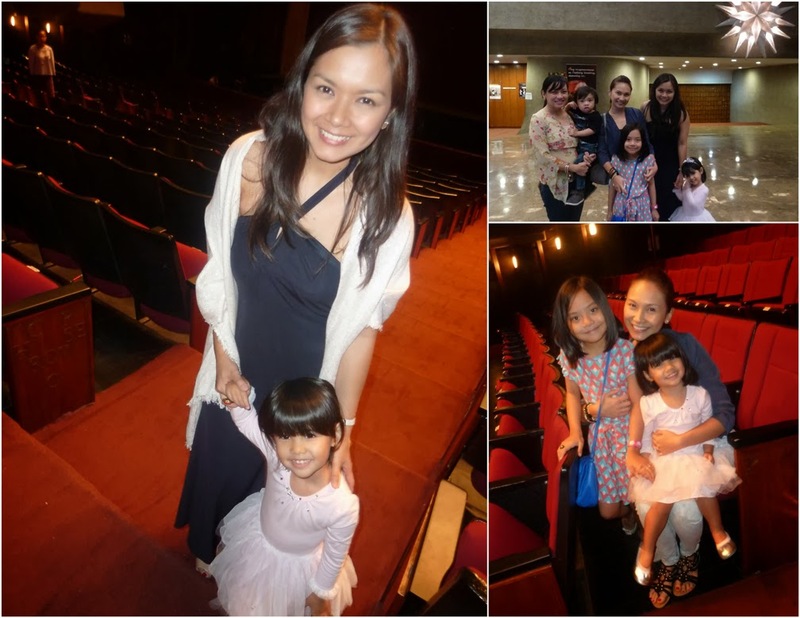 Last December 7th, Audrey watched her first ballet! :) Thanks to Tita Patty who immediately thought of Audrey and her friend Julia upon getting an invitation from Ballet Philippines for their show, A Christmas Carol :) It was a fun girls' night out! 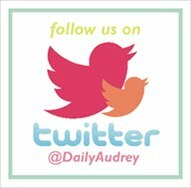 I would love to have Audrey take ballet but so far, the ones who offer lessons only accept students starting at age 4. I haven't found any studio in our area offering lessons for toddlers - which I found quite odd because I actually started taking ballet lessons at 2! I just stopped for a couple of years and went back to dancing ballet again till my teenage years. I was already on pointe shoes for quite some time (yes, poor toes! but they're all good now hehe) and passed the examinations for the Royal Academy of Dance (I didn't realize I was quite a serious ballerina haha!). 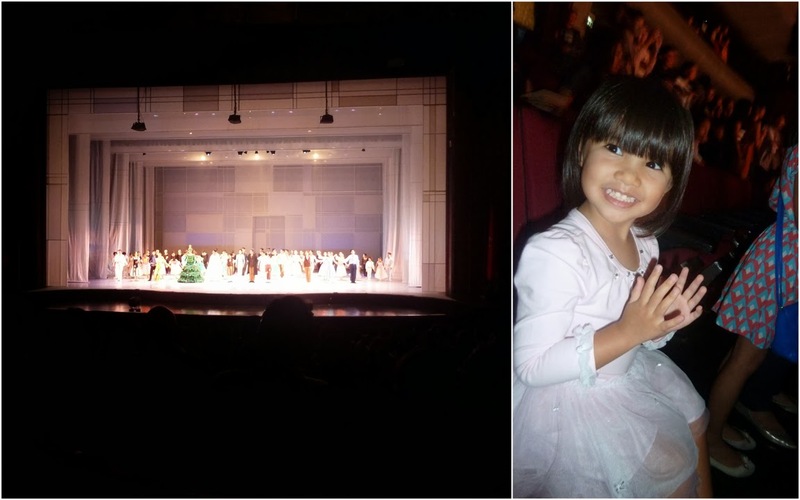 So I really do love and appreciate the ballet! :) And this production didn't disappoint! The choreography was fantastic and the set and props were awesome. 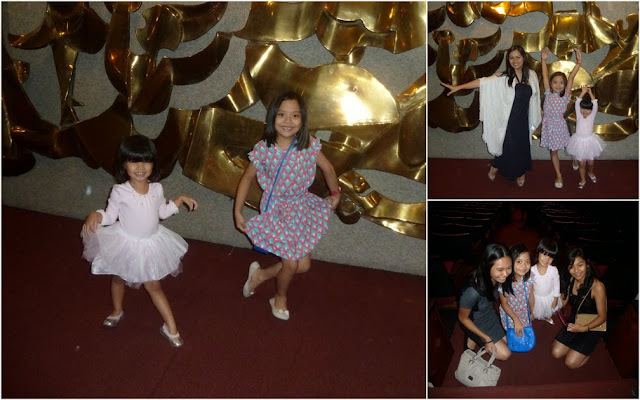 We got some great seats in the CCP Theater and our girls thoroughly enjoyed watching! I've never seen Audrey watching a show so intently and seriously, with matching applause from time to time! but she was doing alright :) Sweet!